We have been an ISO 9001 and a AS9100 certified company for a while, however we are delighted to be one of the first companies in Australia to successfully proceed through transition and become AS9100 REV. D certified. This certification gives our quality management system the ability to be used at all levels of the supply chain to organisations potentially around the world. Our customers can be assured that our commitment to providing a quality service is second to none. In order to achieve this we work to the highest degree possible to implement a quality management system. 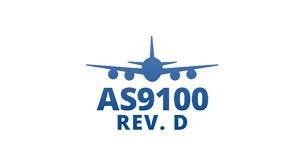 Our quality management system conforms to the rigorous requirements of the standard of AS9100 REV. D to the greatest extent possible, assuring customer satisfaction in the industry sectors of aviation, space and defence.